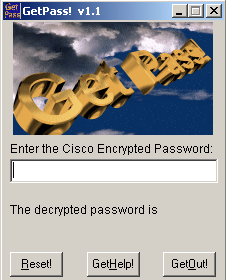 There are many ways a Cisco Type-7 password could be decrypted. Look at the following encoded passwords. There are many online websites that does this on the fly. I would recommend using the one in packetlife’s toolbox. And one more option — free Android app titled “Cisco Type7 Decrypt”.